Discussion in 'Forza Horizon 4' started by GTPNewsWire, Jan 31, 2019. 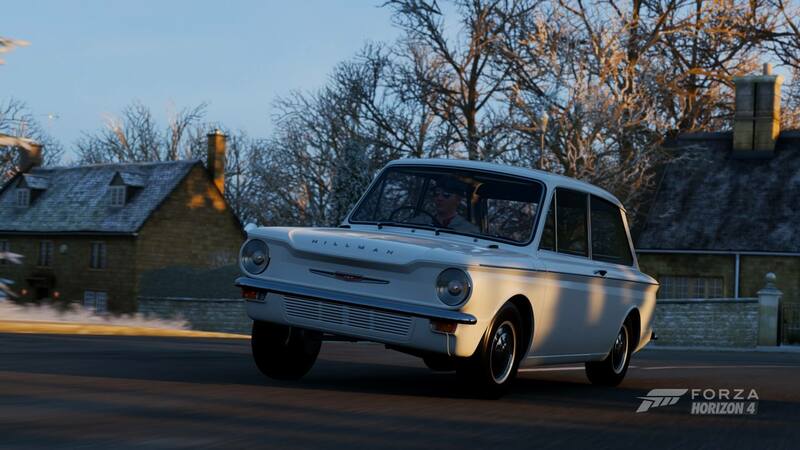 This article was published by Gary Slater (@AudiMan2011) on January 31st, 2019 in the Forza Horizon 4 category. When I was young my dad used to have a Sunbeam Imp Sport which I think was called a Hillman Imp GT in Australiasia. It's all very confusing. Anyway, heavy nostalgia for me. Nielsen and raven214 like this. Funnily enough, internally it's classed as a Sunbeam too. Apple Slipper, WanganDream and UKMikey like this. Very nice! - a great little car with an incredible sporting history - winner of the BSCC (BTCC) three times in a row (1970-72), powered by an engine derived from a Coventry Climax unit and engineered by Mike Parkes (considered by Enzo Ferrari one of the greatest Development Engineer / Test Drivers of all time). However I remember my sisters boyfriends example used to overheat all the time - a great little car plagued by minor faults, cost cutting and quality control issues. This is what they are like racing - the engine has massive tuning potential - see how this example is able to keep up with Lotus Cortinas, a BMW 1800 and lap a Ford Mustang! UKMikey, Mr Fahrenheit and TheCracker like this. A strange bug in the season event. In this circuit we will definitely have a solar eclipse on lap two. Look at it this way - at least the bug didn't stop your headlamps from coming on, haha. They were certainly competitive on the tighter circuits with great traction out of turns, but are very susceptible to dropping oil. Some of the HSCC drivers have developed a 5-bearing block which is potentially more reliable, but can't be used for FIA events. Richard Hammond's happy little Oliver! It should come with upgrade options to replace some of the parts with wooden versions. UKMikey and Apple Slipper like this.